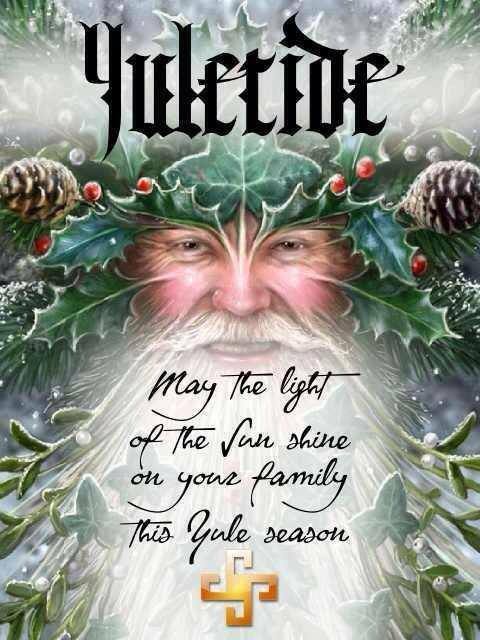 This year Yule is on December 21st. 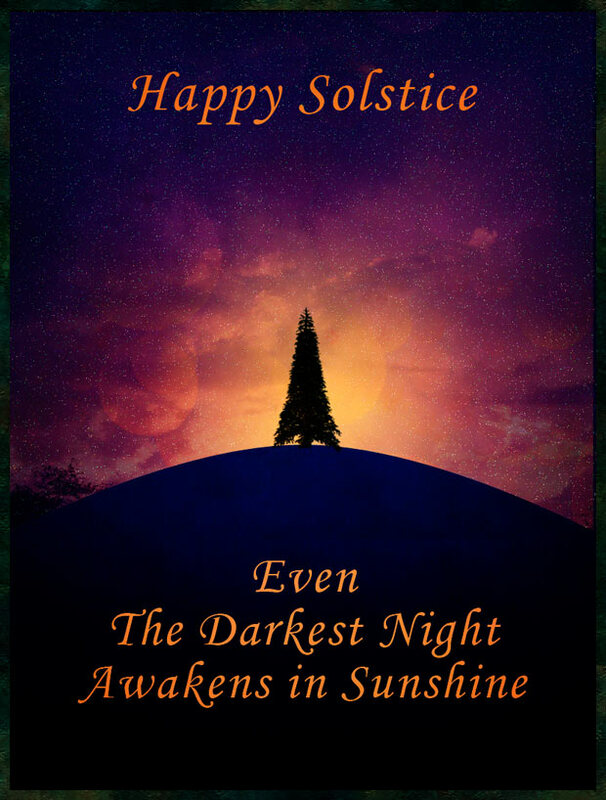 I love the Winter Solstice. The image of the Light being re-born and conquering the forces of Darkness is beautiful and inspiring. 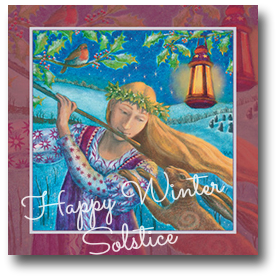 The Winter Solstice has influenced the lives of many people over the centuries, particularly through art, literature, mythology and religion. Many of the customs associated with the Winter Solstice (and therefore with other midwinter festivals such as St Lucy’s Day, Saturnalia, Hanukkah, New Years and Twelfth Night) derive from stories of a mighty battle between the dark and the light, which is won, naturally, by the light. Other traditions record this as the time a savior (the Sun-Child) is born to a virgin mother. 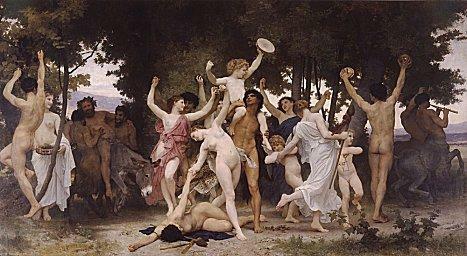 In Ancient Rome the winter solstice festival Saturnalia began on December 17 and lasted for seven days. It was held to honor Saturn, the father of the gods, a gloomy old fellow who carried a sickle like the figures of Death and who ate his own children rather than let them surpass him. For new life to flourish, for the sun to rise again, it is necessary to vanquish this old man. Therefore, the feasting and merriment of the winter season are religiously mandated in order to combat the forces of gloom. The festival was characterized by the suspension of discipline and reversal of the usual order. Grudges and quarrels were forgotten while businesses, courts and schools were closed. Wars were interrupted or postponed and slaves were served by their masters. Masquerades often occurred during this time. It was traditional to offer gifts of imitation fruit (a symbol of fertility), dolls (symbolic of the custom of human sacrifice), and candles (reminiscent of the bonfires traditionally associated with pagan solstice celebrations). A mock king was chosen, usually from a group of slaves or criminals, and although he was permitted to behave in an unrestrained manner for seven days of the festival, he was usually killed at the end. The day following the Saturnalia, was the Juvenilia, a holiday in honor of children who were entertained, feasted and given good luck talismans. After vanquishing the Old King, it was time to celebrate the new in the form of children, the New Year’s Baby, or the Son of Man. The celebration of the birth of Christ fit in very well with this concept as He is seen as the New King, the Light of the World who brings Illumination to all. In modern times Christians all over the world celebrate the birth of Jesus Christ on Christmas. However, Christ’s birthday was not celebrated on December 25th until the 4th century. Before then, December 25th was best known as the birthday of the Persian hero and sun-god, Mithra. The myth tells that he sprang up full-grown from a rock, armed with a knife and carrying a torch. Shepherds watched his miraculous appearance and hurried to greet him with the first fruits of their flocks and their harvests. The cult of Mithra spread all over the Roman Empire. 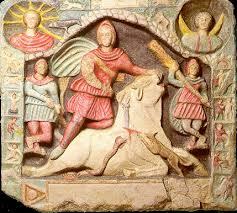 In 274 AD, the Roman emperor Valerian declared December 25th the Birthday of Sol Invictus, the Unconquerable Sun. Thus, in the Roman world there were 3 important holidays focused around the Winter Solstice – Saturnalia, the Birth of Mithras and the Birth of the Sun. When Christianity rose to dominance, the festival of Christ’s birthday moved to this time to offset the pagan influence. Now, as the birth of Christ is seen as the time the true Light came into the world, the celebration fits well with the basic theme of the season. 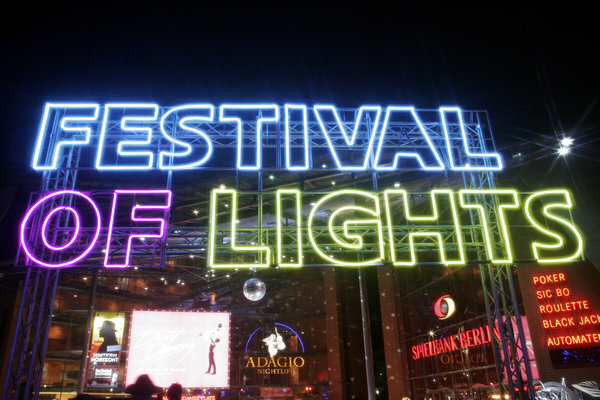 The return of the light is the most prominent feature of most winter festivals. In Sweden on St. Lucy’s Day, young girls don white dresses and a wreath of candles and awaken their families with cakes and song. Hanukkah, the Festival of Lights, is celebrated by lighting candles over a span of eight days. The Christian custom of the Advent wreath, with its four candles, one lit each of the Sundays before Christmas, is another way of re-kindling the light. The Christmas candle, a large candle of red or some other bright color decorated with holly or other evergreens, was at one time a popular custom throughout Great Britain, Ireland and Scandinavia. One person, usually the eldest or the head of the household, is designated as the light bringer. She lights the candle for the first time on Christmas Eve before the festive supper and during each of the remaining evenings of the Twelve Days of Christmas. The candle sheds a blessing on the household and so is protected from accidental quenching. It had protective or fertilizing powers and was kept as a charm. In Denmark, during a lightning storm, the remnant would be brought out and lit to protect the household. Christmas is also referred to as Yule, which may have derived from the Norse word jól, referring to the pre-Christian winter solstice festival when ancient believers celebrated the rebirth of the Sun God and days with more light. This took place annually around the time of the December solstice and lasted for 12 days. Fires were lit to symbolize the heat, light and life-giving properties of the returning sun. 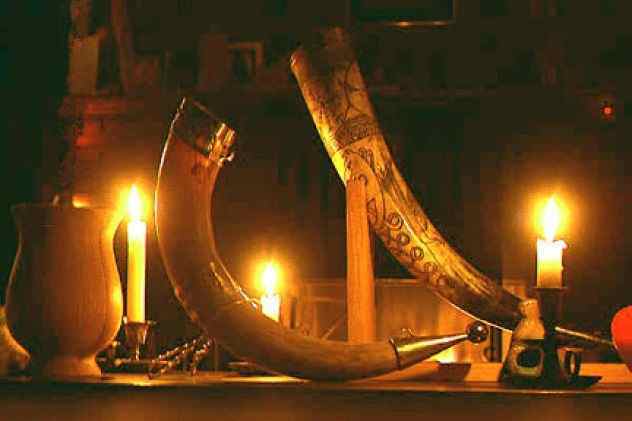 A Yule or Juul log was brought in to the house with great ceremony on the eve of Solstice and burned on the hearth in honor of the Scandinavian god Thor. It is important that the Yule log be the biggest and greenest log available since the Solstice festivities will last only as long as the Yule log burns. Usually it is decorated with holly and ivy and other evergreens of the season. Some people prefer to use the Yule log as a decoration and place candles on it instead, thus transforming it into a candelabra like the menorah or the kinara of Kwanza. A piece of the log was kept as both a token of good luck and as kindling for the following year’s log. In England, Germany, France and other European countries, the Yule log was burned until nothing but ash remained. The ashes were then collected and either strewn on the fields as fertilizer every night until Twelfth Night or kept as a charm or as medicine. French peasants believed that if the ashes were kept under the bed, they would protect the house against thunder and lightning (just like the Christmas candle in Denmark, perhaps harkening back to Thor the god of thunder). The Christmas tree is of more recent origin, perhaps only going back to the 15th century German custom of hanging apples on a fir tree as a prop for the miracle play performed on Christmas Eve depicting Adam and Eve being driven out of Paradise. Many Christians celebrate St Thomas’ Day in honor of St Thomas the Apostle on December 21. 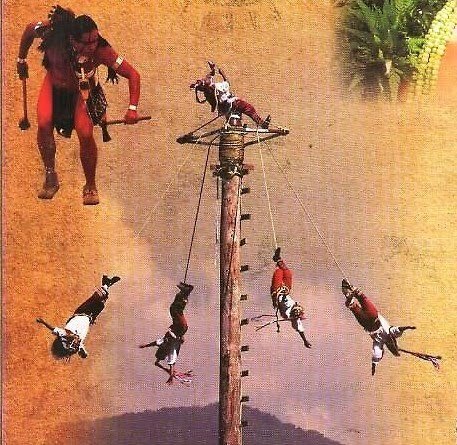 In Guatemala on this day, Mayan Indians honor the sun god they worshipped long before they became Christians with a dangerous ritual known as the polo voladore, or “flying pole dance”. Three men climb on top of a 50-foot pole. As one of them beats a drum and plays a flute, the other two men wind a rope attached to the pole around one foot and jump. If they land on their feet, it is believed that the sun god will be pleased and that the days will start getting longer. During the Winter Solstice, you should enjoy yourself as much as possible. This will help bring Light back into the world. Different traditions mention feasting, gambling, playing pranks, giving gifts, visiting, drinking, dressing up, fornicating, putting on plays and staying up all night. During the dark of winter, invoke all the forces of pleasure and love which make life worth living. Fill your home with lights and sparkling ornaments. But don’t forget about the darkness – that’s important too. Honour the Dark before calling in the Light. Perhaps you could do an “energy fast.” For the whole day, keep all lights and electrical appliances off. Think about your life and the darkness around you. Release your resentments and regrets into the darkness, knowing they will be transformed. 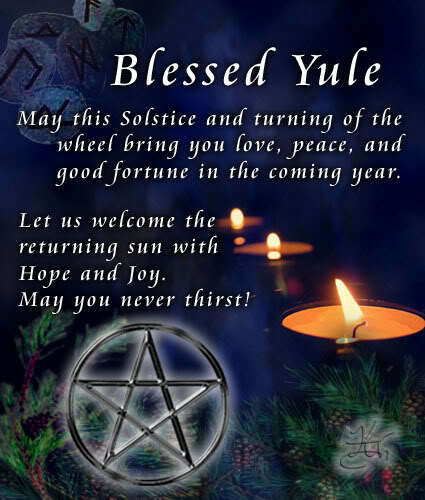 Write about them in your journal or write them on slips of paper which you can burn in your Yule fire. Use your holiday cards to make amends to people you’ve hurt or neglected. Then, when you light your candles and your fire, do so with the intention of bringing the True Light into the world. What ways can you think of in which you can help make the world lighter? How can you bring light into the lives of those around you? Think about this and make a conscious effort to increase the amount of light you create. This is a good time to sing a sun song, like “Here Comes the Sun,” or “You Are My Sunshine.” Pass around a glass of wine or juice and toast the sun. The sun-child is the child of promise. Everyone can talk about a promise they see in the future. The Winter Solstice represents the birth of light, life and love into the world: Not only the world outside but the world within you as well. If you choose to, you can make this one of the most mystical nights of the year by accepting and honouring the Light and proclaiming your own intention to contribute to Illuminating the world. 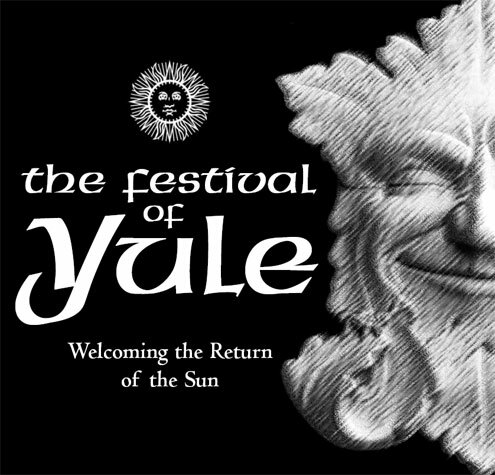 1 Pings/Trackbacks for "Yule – the Winter Solstice"